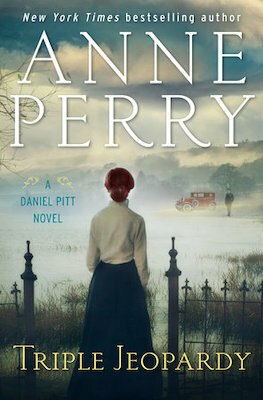 The following is an exclusive excerpt from Triple Jeopardy, the latest in Anne Perry’s Daniel Pitt series, set in 1910 and featuring the reluctant lawyer who would rather be a detective like his father. Forced to defend a British diplomat accused of assault and theft, Daniel begins to uncover the implications of his client's more serious criminal track record. He knew all the arguments for diplomatic immunity and for protecting the countless diplomats abroad, but it was certainly not meant to escape punishment for offenses like this. Daniel could understand perfectly. In fact, he felt the same Emotion himself. It was an appalling thing to do, outrageous. He knew all the arguments for diplomatic immunity and for protecting the countless diplomats abroad, but it was certainly not meant to escape punishment for offenses like this. He was embarrassed for his country, humiliated that such a thing should be told to him by his own brother-in-law, and he had no defense for it whatsoever. “I’m sorry,” was all he could think to say. “Of course,” Patrick said quietly. “I knew you would be. I want to do something about it, but I’m not sure how. Maybe if he could be charged with anything, and come to trial, all sorts of questions could be raised. Why did such a man have this post in Washington? Why, if he is innocent of the assault of Rebecca Thorwood, did he leave without any preparation, such as ending the rent of his apartment? He took only his clothes, eluding the police to leave the embassy at night and collect his things from his apartment. Then he went to New York, and straight on to the next ship leaving for Southampton. That looks like running away, doesn’t it? Why?” Patrick’s voice in the near darkness was tense with emotion. “Surely the accusation of assault and theft would have to arise if he were in court for any offense committed in England? We’ve just got to get him to trial.” He did not ask Daniel outright to help, but it was threaded through his words. “Yes, but the British Embassy anywhere is British territory,” Patrick said, “as is any country’s embassy. 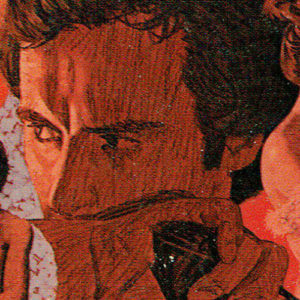 If he had done something there . . .” He stopped, looking at Daniel intensely. Patrick turned toward the light from the drawing-room windows, and Daniel could see his face was lit with a wide, warm smile. He did not need to say anything. From TRIPLE JEOPARDY. Used with the permission of the publisher, Ballantine Books. Copyright © 2019 by Anne Perry.